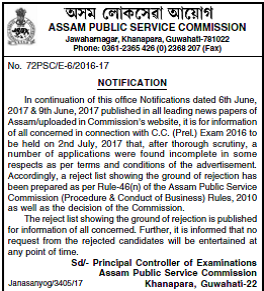 APSC Combined Competitive Preliminary Examination for the year 2017 is scheduled to be held on 2nd July, 2017. 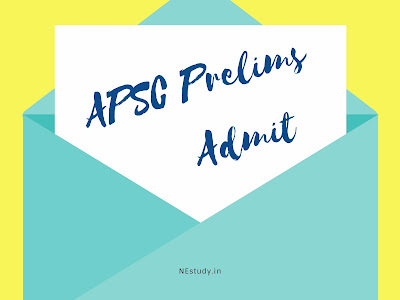 Admit cards has already been issued for the Prelims Examination. 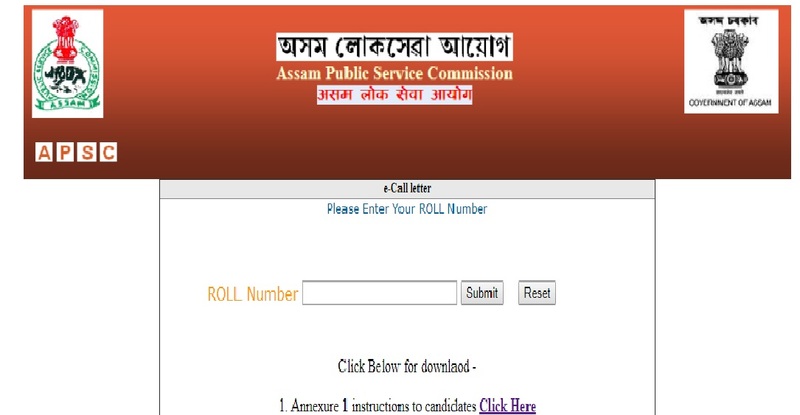 If you applied for the APSC CC Examination, and you are looking for way to download the hall ticket for the examination you may follow the below steps to obtain your admit card. 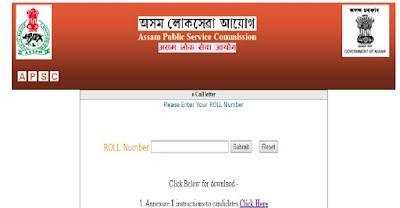 Note that Assam Public Service Commission has also published a list of rejected candidates. Continue this article for all the details. APSC has officially published an ACCCEPTED list of candidates and a REJECTED list of candidates. You have to first check out whether your name is in the ACCEPTED list or not. Click here to check the list, and find your name and note down or copy the corresponding Roll Number from the list. Now, you may click below to download your admit card. Now enter your Roll Number and click on the button submit. Your admit card will be available. What if your name in the REJECTED list? According to official statement, a number of incomplete application found and they are put in the rejection list. Reason of rejection is clearly stated in the list. Further, it has been stated that APSC will not take any request from the end of the rejected candidates. So if you are in the rejection list, you are out of the examination.